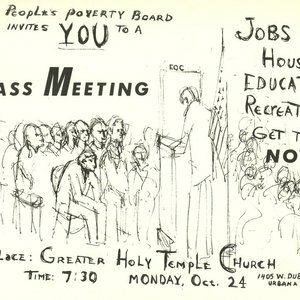 Flyer reads: The People's Poverty Board invites YOU to a Mass Meeting. Jobs! Housing! Education! Recreation! Get them NOW! Place: Greater Holy Temple Church, Time: 7:30, Monday, October 24, 1405 W. Dublin, Urbana. 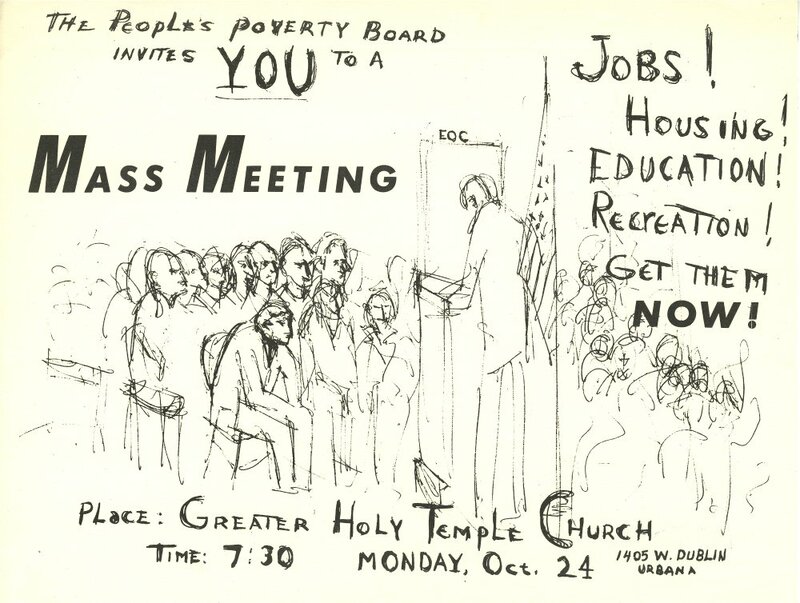 People's Poverty Board, “People's Poverty Board flyer,” eBlack Champaign-Urbana, accessed April 19, 2019, http://eblackcu.net/portal/items/show/37.